"Fly By Night" Solids are not the colours of the night.......but maybe they could be the colours of this one particular night??? 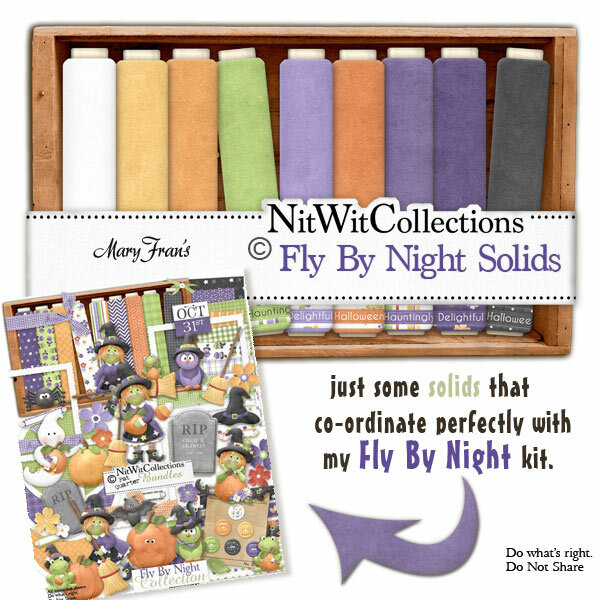 These digital papers are NOT included in the FQB "Fly By Night" Collection so please don't miss out! 9 Solid digital background papers with a bottom border saying "A Hauntingly Delightful Halloween" that coordinate with my "Fly By Night" Collection.